"It's only a small procedure and so he should be back training within a week to 10 days, and back playing after a couple of weeks," Rowett told the club's official website. "We just had a decision. Do we play him against Forest and then have the operation the week after, which makes it difficult for him then to be fit for the two home games? No, we would rather he misses one away game. "He just feels it's been inhibiting him a little bit in terms of the last little bit of the explosive side of his performance. "You probably couldn't tell, but Incey hasn't had that little bit to get away from opponents, but he's still been a threat, still been dangerous. "We have got other good players. We've got James McClean, who was disappointed he didn't play against Middlesbrough. "We've got Bojan, we've got Mame Diouf, who should be back fit, so I don't think numbers is necessarily our issue. "It's an away game as well so you can maybe go with someone out there who's got a little bit more physicality than at home." Stoke denied Middlesbrough the chance to return to the top of the Championship as they held Tony Pulis' side to a 0-0 draw at the bet365 Stadium. 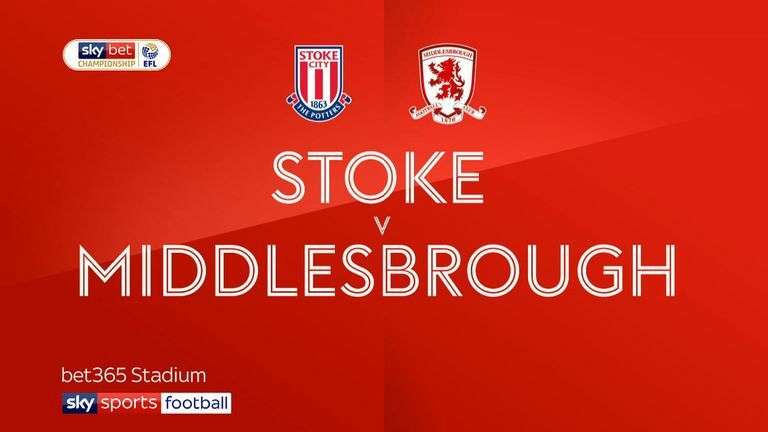 Ince's absence could pave way for Sam Clucas to make his Stoke debut after he was an unused substitute in the 0-0 draw against Middlesbrough at the weekend after recovering from a long-term injury. "We will see, but certainly Sam being fit gives us another option and can play that side if required," Rowett added when asked about Clucas' possible involvement away to Nottingham Forest on Saturday.